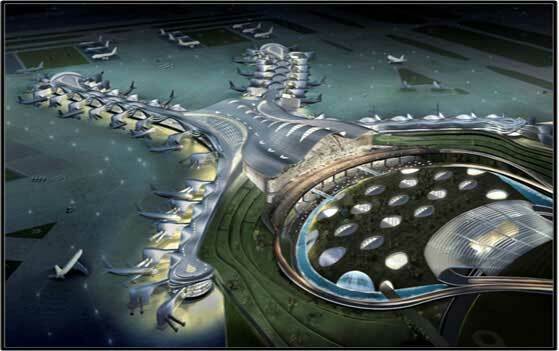 Abu Dhabi Airports Company (ADAC) is doing the construction of the 700,000 m2 main terminal building, which will have an initial capacity of 27-30 million passengers per year. The building will be one of the world’s largest and most architecturally iconic structures. Dutco Tennant LLC / Business Communications LLC scope is to the supply of around 1,000+ digital slave clocks to the Midfield Terminal Building. The following parties are involved in the Project.